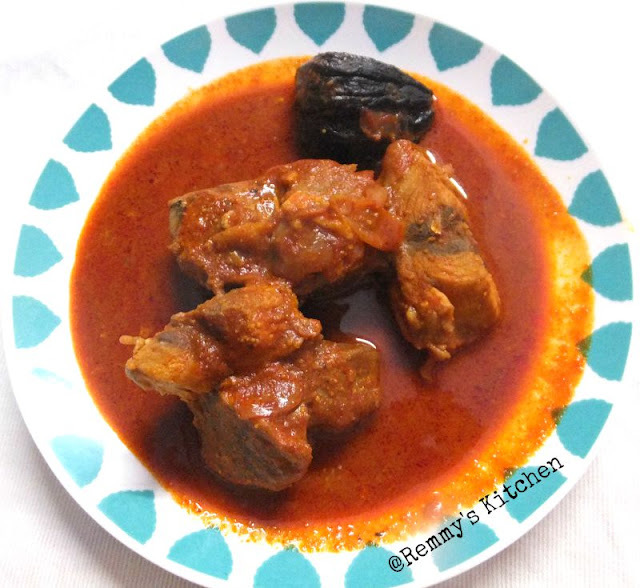 Differnt methods are available to prepare fish curry.If you are coming Alleppey side you can see all are using fish tamarind in fish preparation that may be the key secret behind this amazing taste! 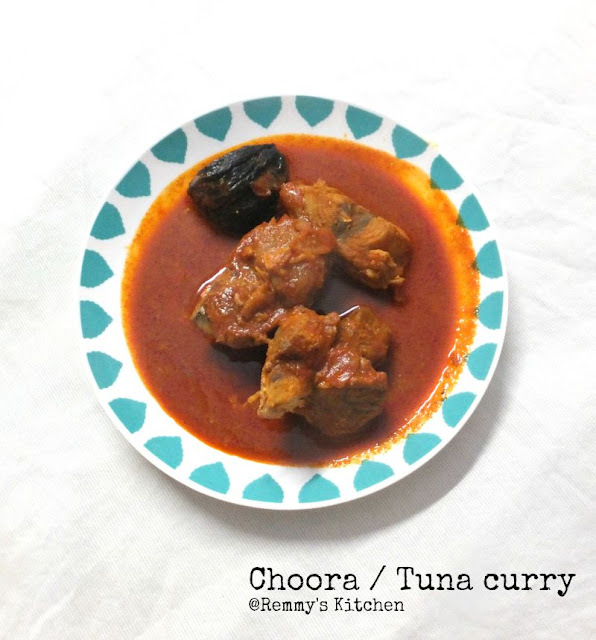 you can serve this with rice dosa idly boiled tapioca or appam .I served this with wheat dosa. 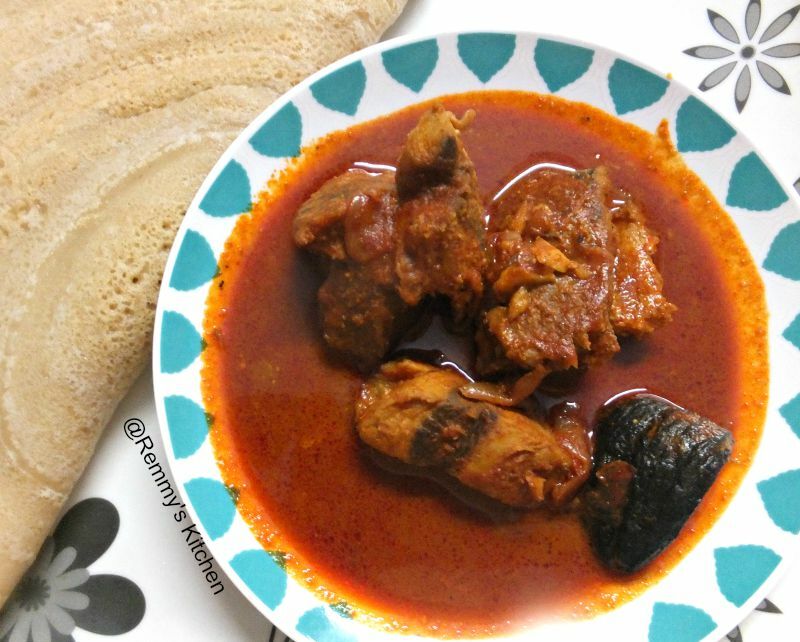 Usage of kasmiri chilly powder will give a red gravy and it may be the attraction of fish curry in our area. Clean the fish and cut it in to medium sized pieces.Keep aside. Wash and soak fish tamarind in water.Set aside. Crush ginger garlic and shallots .Keep aside. Saute it well .Keep the stove in simmer mode.Meanwhile take all the spice powders in a bowl and mix it with little water.It should be like a thick paste.Add it to the clay pot and mix it well. When the oil starts to separate add in fish tamarind.Mix it well and now add in tamarind soaked water.If need add more water. (I used almost 1.5 cups of water).keep the stove in medium flame . Let it boil. Add in fish pieces .Close the clay pot with its lid . Once the gravy starts to thicken switch off the flame. kothiyavunnu Remya.. with rice it's so good for lunch.. Truly loved. So close to the one I had in Allepey. In fact bought back the puli and Kashmiri chilli powder and have been using so far. Looks delicious Remmy! Love the use of tuna, unique! delicious one..all I need is a bowl of kappa vevichathu to dip in this curry,yummmmy!! !